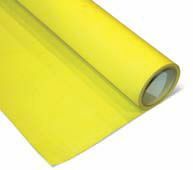 Waterproofing membrane in rolls, resistant to a water column of 15 m.
Waterproof undertiles membrane for bathrooms, swimming polls, tanks for interiors and exteriors. It redices crack spreading. It is easy to incorporate in the product.